cPanel offers a number of different monitoring and statistics tools to help you administer your hosting account. These tools include Visitors, Errors, Bandwidth, Raw Access, CPU and Concurrent Connection Usage, Webalizer and Webalizer FTP. 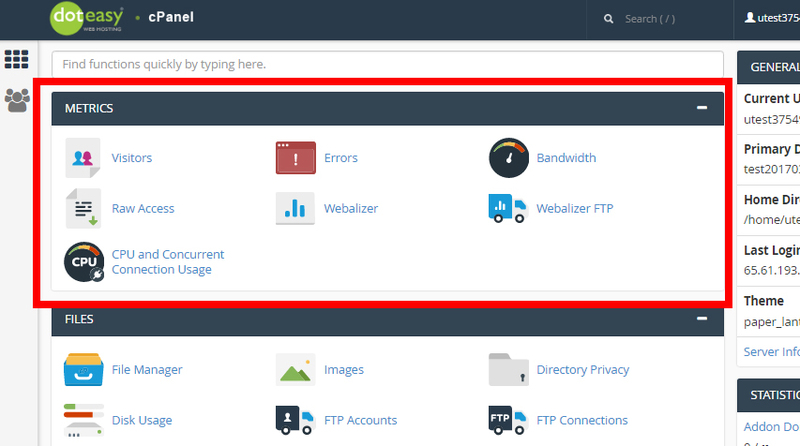 You can view all of them in the Metrics section of cPanel.